SQL Server Reporting Services (SSRS), when integrated into SharePoint 2013 enables reports to be sent to users via email. From the report click Manage Subscriptions. On the following screen click Add Subscription. You can configure the report options and click OK to save. The web page may also fail to load, with an error like the one below. 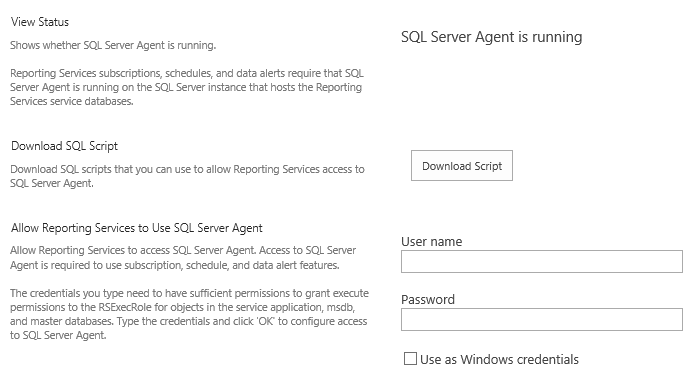 If you encounter this error, open the SQL Server Reporting Services Service Application from Central Administration. Next, open e-mail settings and configure the SMTP server. Finally, open Provision subscriptions and alerts, enter the appropriate account details and click Ok. This entry was posted in SharePoint and tagged SharePoint 2013, SSRS on August 29, 2014 by richardstk.